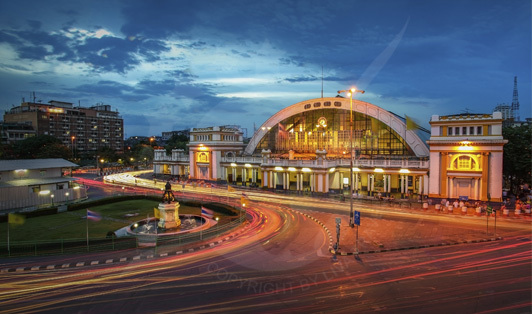 Hua Lamphong Railway Station or Bangkok Railway Station is the main station in Bangkok for traveling across the country. You’ll find the station in the center of Pathum Wan district near the China Town. The railway station has shops and stores selling local food, snacks, souvenirs, magazines, and even medicines. You’ll find a food court along with several cafes and Dunkin Donuts! So you can enjoy your time while waiting for your train.